1. Extends the outlet on the power strip to avoid cluttered by power adapters, make more space on the power strip for power adapters. 2. Stop struggling with bulky chargers and AC adaptors. 3. Underwriter Laboratories Inc. & Approved | RoHS Compliant | CSA Approved. 4. Prevent clutter and outlet blockage by plugging those big bulky adapters into these extender cables instead of directly into power strips or wall outlets. 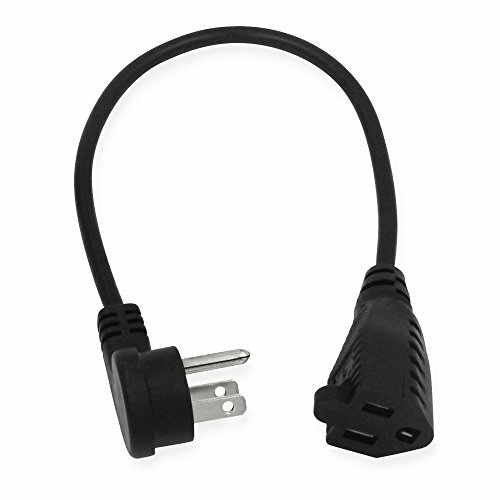 KUNCAN is a professional manufacturer who sells various mobile phone accessory cables to USA, Euro, Asia and so on. High quality promise. We insist in using pure copper as cable conductor and RoHS, SPT -1 -2material to guarantee the user experience.